You can spot a BMW on just about any highway or in any parking lot, but you can't always discern all-new editions from those with previous-generation sheetmetal. The Germany-based automaker makes it a habit of maintaining evolutionary styling treatments for most of its stable, including the upcoming second-generation X3 tall wagon that is scheduled to roll out of a new factory in Spartanburg, S.C., by the end of 2010. First introduced for the 2004 model year, the compact five-passenger X3 - a close relative to the larger X5 - has finally received some physical and mechanical adjustments, while largely staying the course in the looks department. For 2011, the kidney-shaped grille and bumper are more prominent, the fenders are more noticeably flared and the crease that extends along the doors is more dramatic. 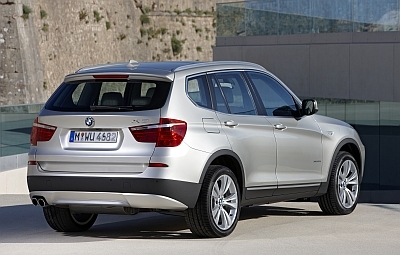 The new X3 is about 8.5 centimetres longer, 2.5 centimetres wider and offers a touch more ground clearance. Also, the distance between the front and rear wheels has been extended by about 1.5 centimetres, translating into slightly increased rear-seat leg room. The previous plain and plasticky dash has been replaced by a more organically shaped piece that showcases an 8.8-inch-diameter (22-centimetre) information screen. It's bigger, yes, but the finished product is some 25 kilograms lighter (now about 1,820 kilograms) than the outgoing X3. That's about 115 kilograms less than the similarly sized Audi Q5, but close to the same weight as the all-wheel-drive version of the Acura RDX. On the road, the new suspension has been tuned to provide better control and improved passenger comfort. The latter addresses a common complaint on previous models that the ride was simply too harsh. Honestly, we've never thought that to be an issue given its sporty leanings. Other changes have been made to the xDrive all-wheel-drive system that now reacts more quickly when tire slip is detected. 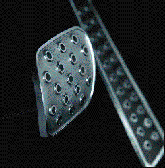 Under normal conditions, 40 per cent of the torque is directed to the front wheels. However, when needed, up to 100 per cent of the power can be directed to the rear wheels. The base X3 xDrive28i comes with a 240-horsepower 3.0-litre inline six-cylinder that, BMW says, will propel the vehicle to 100 km-h from rest in 7.1 seconds, which is half a second quicker than the previous 3.0 that had 20 more horsepower. This is likely due to a new eight-speed automatic transmission that replaces the previous six-speed manual and six-speed automatic. The X3 xDrive35i comes with a turbocharged 3.0-litre six-cylinder that brings an extra 60 horses, for a total of 300, to the party. BMW says the turbo engine chops the zero-to-100-km-h time by more than a second to 5.8 from 7.0, which is certainly in sports-car territory. BMW credits the new transmission for improving fuel economy, although actual numbers are not available yet. As a baseline, though, the 2010 X3 28i was rated at 12.0 l/100 km in the city and 8.0 on the highway with the previous six-speed automatic. The X3 comes with a lengthy list of standard convenience and safety features, to which you can add bright-white Xenon headlamps, 40:20:40 split-folding rear seat, navigation system, backup camera, power liftgate plus a selection of wheel and tire upgrades to further personalize your ride. Major options include auto-adjusting shock absorbers, and Normal, Sport and Sport Plus settings for engine throttle response, transmission shift characteristics and power-steering assist. 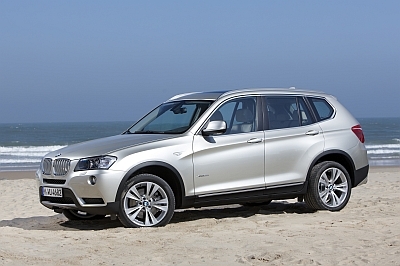 This is a BMW, after all, and the X3 needs to fall in line with the "ultimate driving machine" reputation. As a compromise between two extremes, however, the X3 comes up short as an all-out off-roader or a corner-carving sports machine. It just can't be both. But in the cut and thrust of the urban jungle, this all-weather fighter will coddle its passengers and cargo while providing the driver with some behind-the-wheel fun. And year after unchanging year, that's exactly what this BMW does best. Market position: Small, upscale sport utes remain popular with buyers who prize them as much for their looks and superior level of content as for the security they provide in handling rough roads and equally rough weather. Points: Nothing dramatically different visually, but minor changes improve on previous model; Optional 300-horsepower turbo-six-cylinder engine places X3 out front of competitors; Eight-speed automatic transmission helps save fuel, but BMW purists might be upset with loss of manual gearbox; Interior now mimics 3-series-sedan look. Safety: Front airbags; side-impact airbags; side-curtain airbags; rear side airbags (opt. ); anti-lock brakes; traction control; stability control. 2010 edition features great design, comfortable cabin. Optional 300-hp V6 turbo. Good-looking small ute with highly refined cabin and standard 270-hp V6. 240-hp turbo-four with well-balanced suspension make magic together.